It’s such a beautiful weekend here in NY! I spent this lovely weekend with the ladies in my life. We did a little shopping around town and I found some great bah-gains! My first great find are these skinny jeans ($34) from the American Eagle outlet! These jeans are very comfortable and I really like the fit. The denim wash is perfect for Summer. I wore the jeans with a ruffle crop tank from LF, necklace also from AE, earrings from UO, shoes from Marshalls and bag by JC. 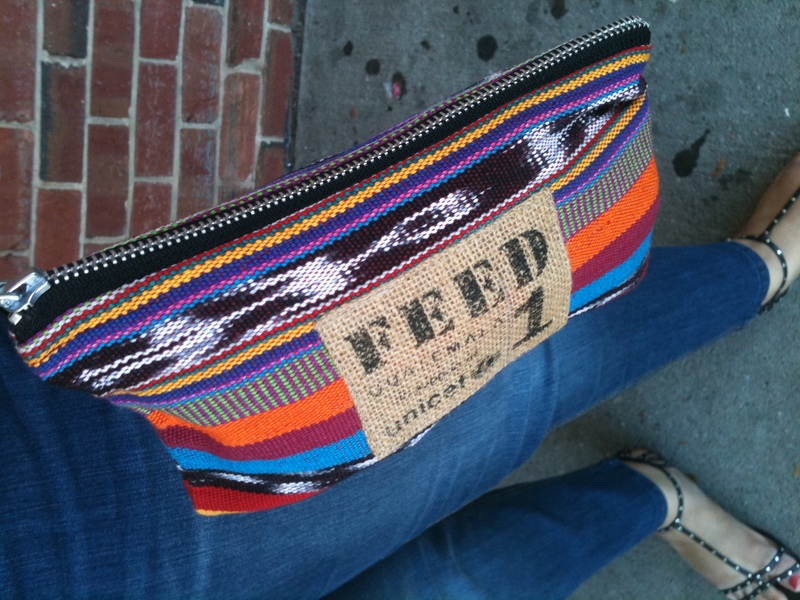 My sister found this pretty woven purse also at American Eagle Outlet for $8!!! Now for some furniture bah-gains! 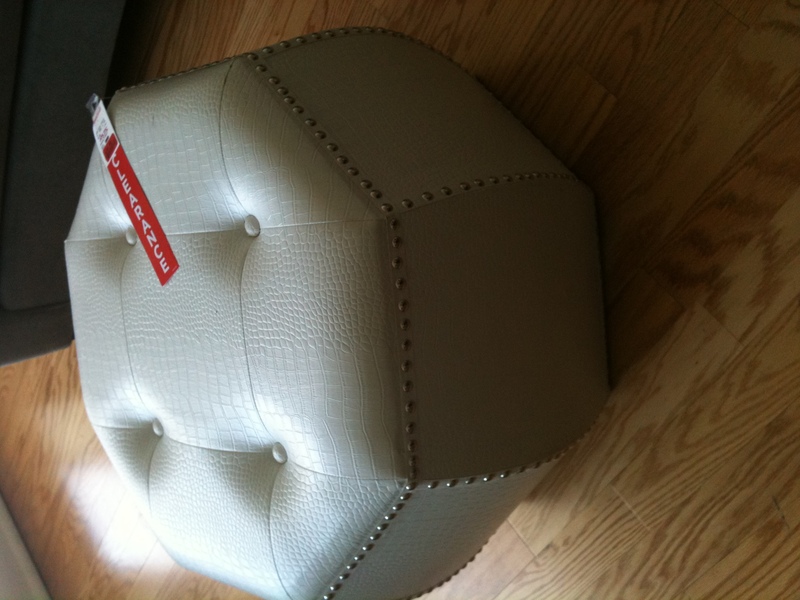 I’ve been looking for another piece to add to my living space and to my surprise I found this ottoman on clearance at Home Goods, $30!!!! 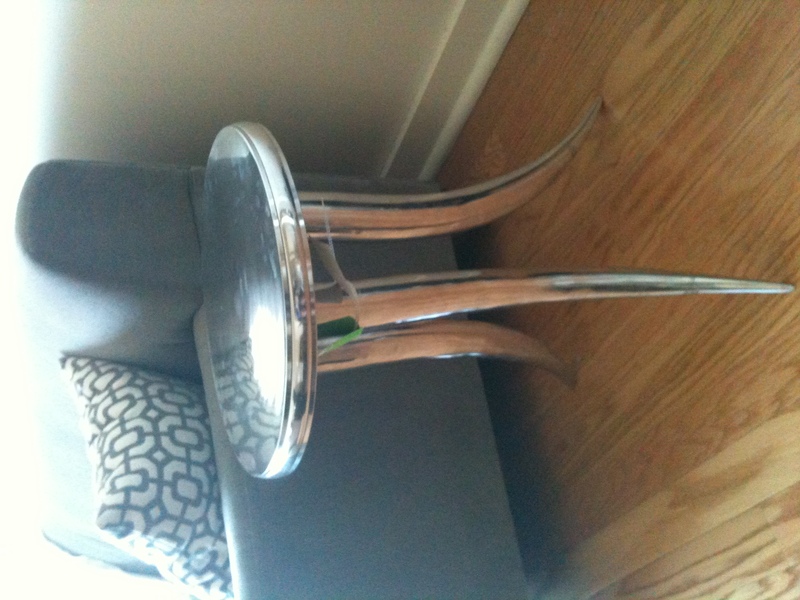 My second find is this fabulous modern end table also from Home Goods. Look at those LEGS!!! 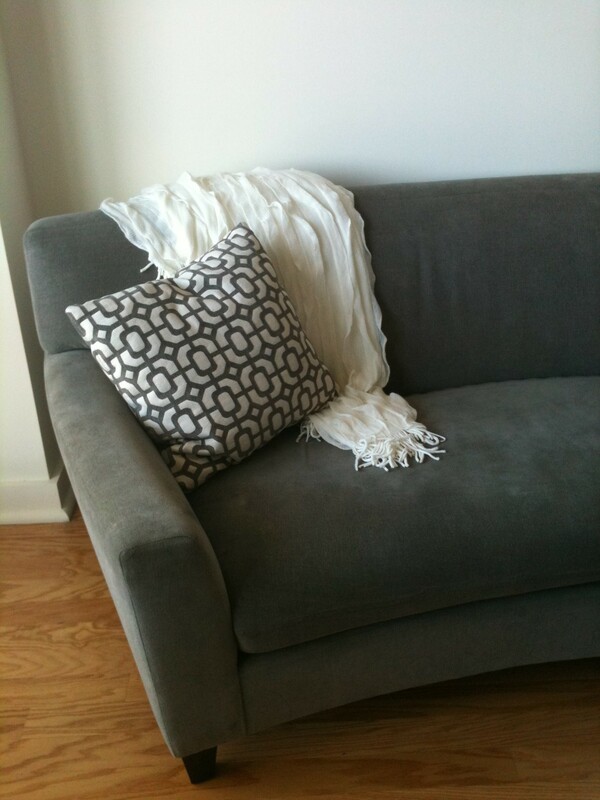 Both pieces match perfectly to my sofa, throw and pillows!